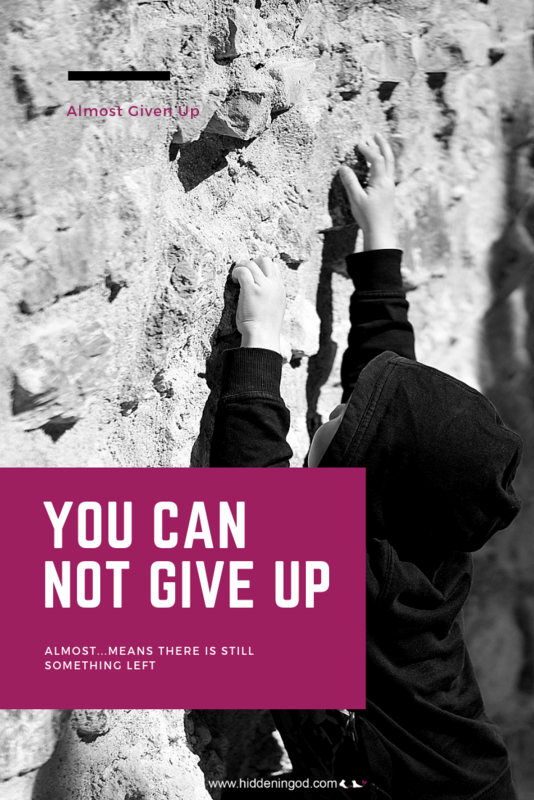 How many times have you “almost” given up? When the stress and strain of life beats you up to the place where you are ready to throw in the towel…. Relationship struggles, financial pitfalls, educational restraints, emotional obstacles, spiritual dilemmas…and sometimes, it’s not just one area…IT’S MULTIPLE!!! Not just one attack, but a plethora at the same time!!!! It seems very much like an endless revolving door of stressors and stressing aimed at the final waving of the white flag. And with every pressing issue, depression, anxiety, frustration, irritation and/or anger builds: nudging you closer to the idea that it’s not worth it. I’m here to encourage you that the closer you are to that idea…is how close you are to a paradigm shift that will reveal the true reason why you CAN’T GIVE UP!!! First, you need to understand that you are dope. You are phenomenal. You are special!! So special, that God designed you specifically to overcome what you are facing. I know, I know. You wonder how I can say that. Here is an answer. People who God has destined to be phenomenal…must endure phenomenal resistance and overcome it phenomenally!!! It’s more than a catchy cliche-esq statement. It’s Biblical!!! Almost…means there is still something left! There is still something inside..something that is trying to come out…because God designed YOU to birth this treasure! The treasure on the inside of you can only be brought out through the stressors of life crushing you and you still rising from the pain, still rising from the hurt, still rising from the attacks, still rising from all life has tried to use against you!!! Maya Angelou said it in her poem, “Still I Rise”. Through turmoil and tests, still, I rise. Brokenness, heartache, suffering, stress…still I rise!!! Life tried!! People, tried! Family, tried! But still, I rise!!!! So get up!! Don’t quit now!! It’s been a rough week!! And it is so easy to quit…but RISE UP!! Look up! Get up!! Move up!! Up! Up! Up!! Doesn’t matter who is looking, who is watching…doesn’t matter who saw you fall, or saw you fail…doesn’t matter who tried to hold you down, or who speaks against you…GET UP!!!! Don’t give up here!! Get back up! And achieve all you intend to do!! Up!!!!! Instead, we rose from the ashes like the Phoenix..
Elder Warren G. Smith, Sr., a native of Gary, Indiana, serves as the Senior Executive Pastor of True Faith Church Ministries of Gary, Indiana and Assistant Pastor of Southwind Church in Michigan City, Indiana. He has been serving diligently under his pastor, Apostle Anthony Goffin, Sr., for the past 20 years. He has grown in multiple areas of ministry; including outreach, evangelism, Christian education and leadership. Destined for ministry from birth, Elder Smith has grown to become a wise and knowledgeable man through experience and revelation, leading him in becoming a published author of the book entitled “A Ministry Led Lifestyle”. This profound and Godly inspired writing was published in 2010, and He is already set for his second book to be in 2019! An anointed preacher and teacher, he draws on his own failures and life’s challenges to deliver God’s Word. 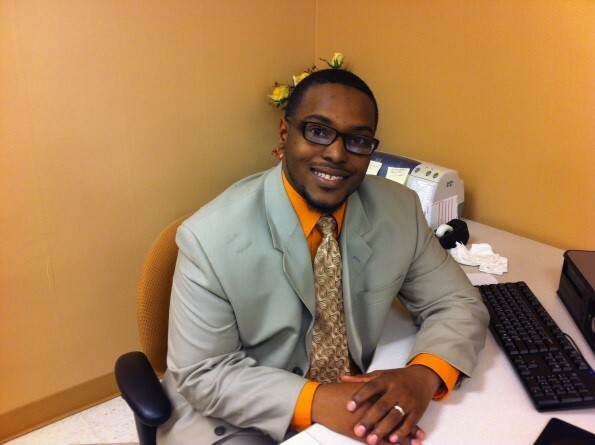 Elder Smith embraces technology and real-life application to illustrate Biblical teachings and principals to assist in conveying God’s plan; including his newest vocal recording on the latest song release, “Destined For Greatness” by Brandon McCallister and The Sounds of Overcomers, upcoming internet radio show “The Open Book”, and now contributing writer with “Hidden In God”!!! Through venues such as marriage seminars, conferences and revivals, he is committed to winning souls for Christ so that marriages are restored, families are healed and real world issues are overcome by the understanding of God’s Biblical principles! I thank GOD for your ministry . I too am grateful for your ministry. Be encouraged! God Loves us Best!